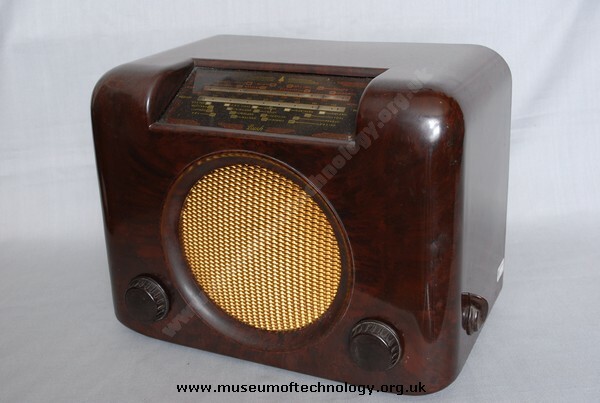 These popular British radios are quite attractive and still very common. They are reasonably easy to restore providing you have some basic training and understand the dangers of a live chassis. Sadly the valves are getting expensive and prices of restored radios have not kept place with the work involved. They are a labour of love! Both in working order,but my mum considered them as "clutter"
This is a highly collectable radio but will almost always need the capacitors changed as they will invariably leak. They are small and neat and will look good in any setting. Medium and long wave only. The chassis is ground so if the original plug is inserted the wrong way round the metal parts of the radio will be live!